Matt Tindell is a former Player of the Year and a World Series Champion and he is now a 20 for 20 interviewee. Matt will be our final 20 for 20 subject prior to the World Series so sit back and see what he has to say. First, I would like to say it is an honor to participate in the 20 for 20. What is your baseball/softball history? Your number and why you picked it? What do you enjoy most about being a LEO and least? I most enjoy the camaraderie and relationships I have been able to obtain with my brothers and sisters also in law enforcement, as well as with members of the community. The least enjoyable part of serving in law enforcement is the black cloud hanging over law enforcement across the country due to recent isolated incidents. What team would you want to be on other than yours and why? The Nightshift or Lockdown Sports!! Wow what a group of guys on and off the field. 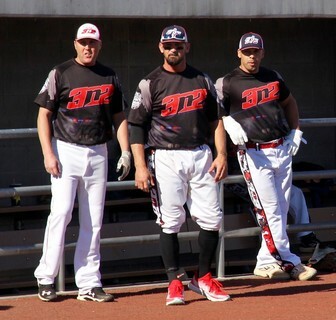 Your 3n2 team run ruled the Alliance at World Series XI. Was a run rule as satisfying as a close, full 7th inning win would have been? Other than the game ending on a walk off, weak backside bomb, I would have to say that I'm glad the game ended when it did because when you let team like Alliance that are loaded 1-11 stick around you usually do not come out on top. To answer the question, I will take it either way. A win is a win. If we are talking about at the WS I can't narrow it down to one team. In the Major division there are 7 teams that can win it any given year. Then there are 10 more teams that if you come out flat or don't play your best as a team they can ruin your whole tournament. 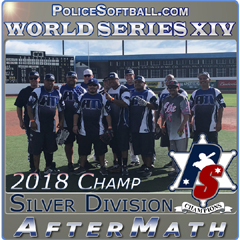 That is what makes Police Softball my favorite tournaments of the year. 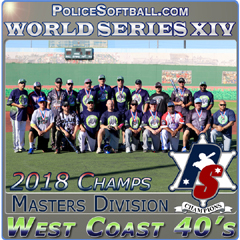 Every Policesoftball.com event that I have played in has been phenomenal, The relationships that are formed just take it to a whole different level. My best friends in the world play on the circuit. 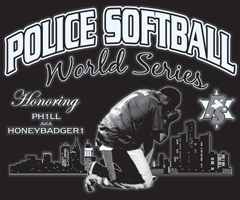 After a violent takeover, you find yourself sitting on the iron throne of police softball. As its’ new king, tell us some things you would change? 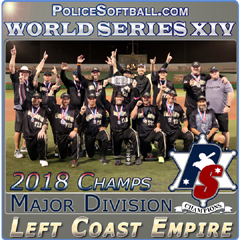 Hardest pitcher to hit in police softball and why? There are several that come to mind. 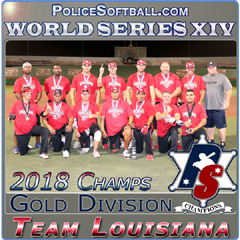 Police Softball is loaded with great pitching. I have never had to face him, but I hear a lot of guys talking about this Jimmy Black guy. What is the best, and worst, part of your game? The best part of my game? That's a tough one. I would have to say my competitiveness. The worst part of my game is easy and I don't have enough time to type all of them so I will some it up. I make outs. I hit into double plays. I hit solo's. I make errors. I take losing really hard and sticks with me for a long time. 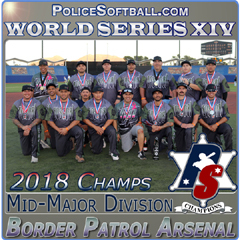 I'm hearing a lot of chatter about Battle Born, but again Great Lakes, LAPD Blue, DEA Combo, Shamrock, Mid-Atlantic, Missouri, Kentucky, Ohio Lawman, the Hounds have as good of a chance as anyone of winning the whole thing. Hanging out with the guys I only see a few times a year from other teams. A new place called "The Night Shift Bar" owned and operated by Sward and Worm. Besides talent, what is the most important aspect of a championship team and why? Hard work beats talent when talent is tired. One common goal and everyone doing what it takes to accomplish that goal without using the word. I would have to say the game winning play, however, hitting the walk off does taste pretty sweet. Ok, your team not withstanding, who will win World Series XIII? Leave us with a thought. If Police Softball had one poster child there is a man that immediately comes to mind. This man is a great player, one of the best hitters in the game. 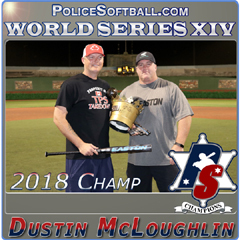 He is an awesome father, greater husband, hard worker, and without a doubt great ambassador for this great circuit POLICE SOFTBALL. Ladies and Gentleman it is my pleasure to introduce my friend "MR. POLICE SOFTBALL, KING GEORGE REYES"